King Pot in Kingsdale has seen a major extension. Vespers Pot: Under Our Noses All the Time! Vespers Pot in Kingsdale proved easy to enter; you just had to have the luck of looking in the right place. ‘Trat’ has died; here is our tribute. Another kilometre of passage has been found in Reyfad Pot. Preparations are underway to forge a major underwater link. 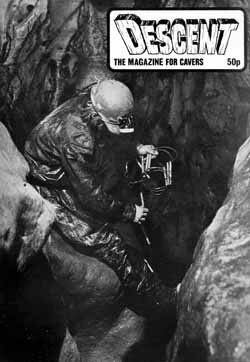 A pint at t’Heifer, then caving’s zaniest expedition sets off for Ecuador. One of the largest expeditions ever organised by the Royal Geographical Society has returned from the caves of Mulu, having shot a television film to boot. Doghole in Buckfastleigh has seen renewed interest – and an extension. Whether you agree with the red tape or not, the latest reports will affect you!